Iceland is commonly divided into seven regions, each one having its own character and special focus in tourism. We invite you to participate in a one day workshop where tourism companies from all over Iceland gather together in Reykjavík to introduce products and packages available throughout the country. 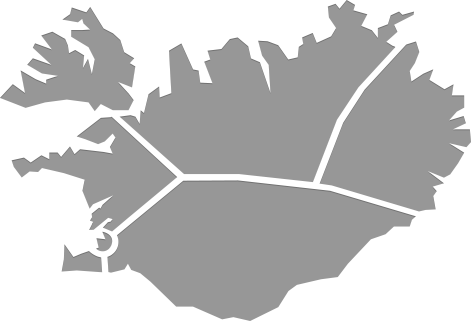 This includes big and small, as well as old and new, companies from six of the regions of Iceland: the West, Westfjords, North, East, South and Reykjanes. The Regional Marketing Offices of Tourism in Iceland work for 780 tourism companies and 65 municipalities. Mannamót – Natural Iceland Tourism Workshop is held on Thursday 17th 2019. Mannamót is an annual event taking place in Kópavogur, hosted by six marketing offices around Iceland and Eagle Air airline. Visitors can expect to see around 200 companies, so make sure to give yourself plenty of time to walk around, explore, experience, talk, laugh and taste. Take notice that no meetings are booked. Invitations are sent out to travel agencies and tour operators, employees at hotels and guesthouses, information centres, airlines, guides, tourism students and teachers, Promote Iceland and PR offices, the Icelandic Tourist Board, the government of tourism and other parties interested in or working in tourism. Admission for visitors is free and the event is set up for informal communication. No meetings are booked, but remember to bring your contact information and happy outgoing spirit. We request that visitors register so we can send you updates and prepare ourselves with regard to how many will be attending the event.